For over three years now, Canam-Bridges has been using the Lean method, based on Toyota’s production system, as a manufacturing strategy. The Lean approach is based on the elimination of waste within production processes. It results in lower stocks and production time as well as better quality, less damage and obsolescence, and greater flexibility thanks to processes being better organized. The goal behind this deployment in our plants is to continually improve our manufacturing processes and methods while creating value added for customers and maximizing the quality of our products. Many concepts from the Lean “toolbox” have already been implemented. These include the “3P” (production preparation process), which is now systematically applied in the planning and fabrication of any new projects. This method has allowed us to increase our production capacity by 350% so we could fabricate the box girders for the new Champlain Bridge in Montréal, Quebec. Reorganizing work through the implementation of the work cell concept also had a significant impact on the efficiency and ownership of continuous improvement by all employees. “Lean introduced a preparation step before a project gets underway. 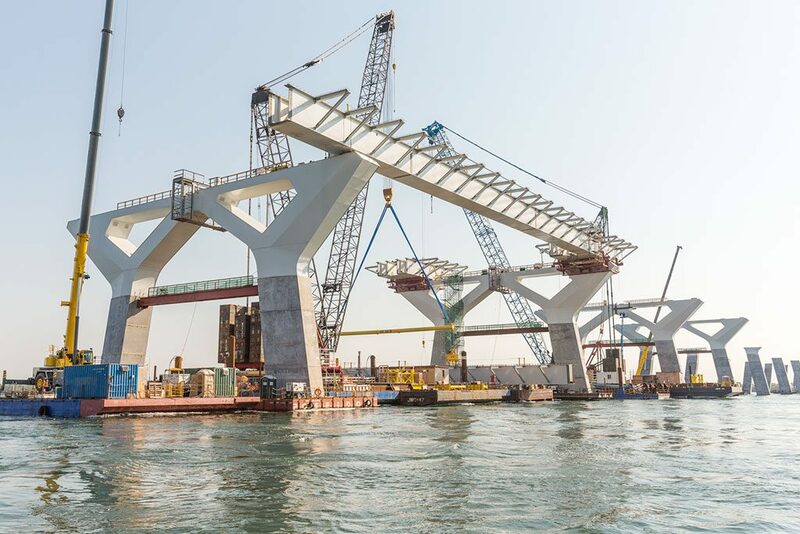 Over 45 people worked to plan and prepare production start-up for the Champlain Bridge before we’d cut a single plate,” said Jean-Pascal Chouinard, a Lean Agent at the Quebec City Canam plant. Take a look at the “Shop Issuing” capsule from our Connecting the Shorelines webseries and sign up to receive the full interviews on integrating Lean culture into our processes. The first box girders fabricated by Canam were installed on site in August 2017.